This is a required two-day orientation experience for all incoming first-year students who will be starting at Augsburg University in Fall 2018. SOAR is designed to help with the transition to Augsburg. But, Augsburg College Homecoming also looks like current students decorating the Minneapolis campus with signs of Auggie spirit, like alumni reconnecting with classmates and favorite faculty members, and like fans cheering on the football team in its attempt to defeat the Bethel Royals. The 2012 Homecoming week features events for the entire community from September 23 to 29. Current Augsburg students, faculty, and staff can choose from more than a dozen activities happening around campus. Download the Homecoming flyer for complete event descriptions, times, and locations. 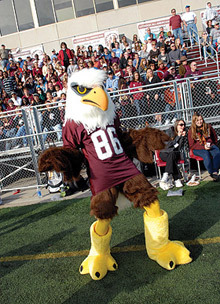 Visit www.augsburg.edu/homecoming for additional schedule, registration, and alumni information.